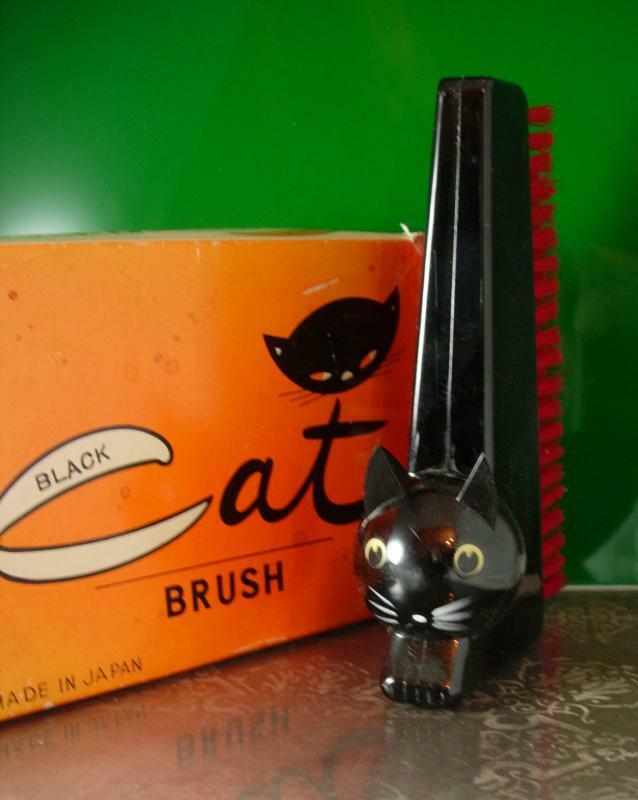 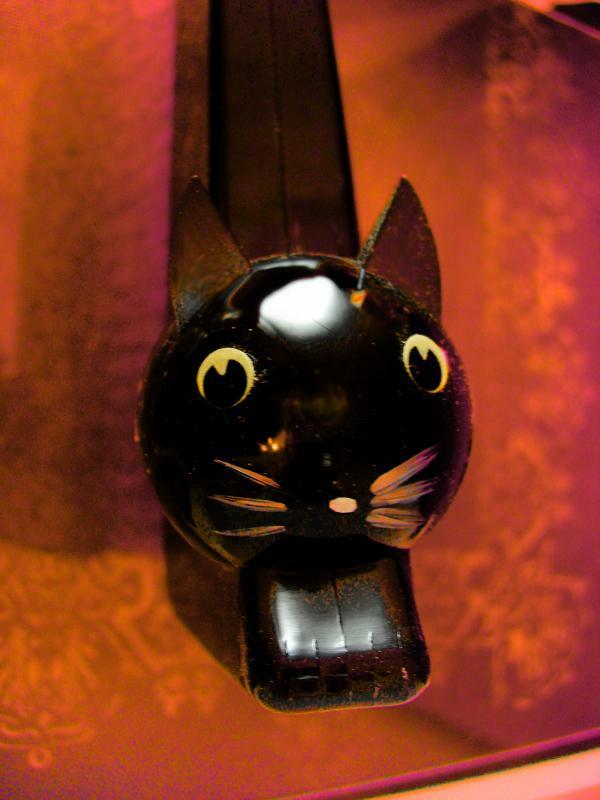 This is an early plastic acrylic black cat figural clothes brush that was made in Japan. 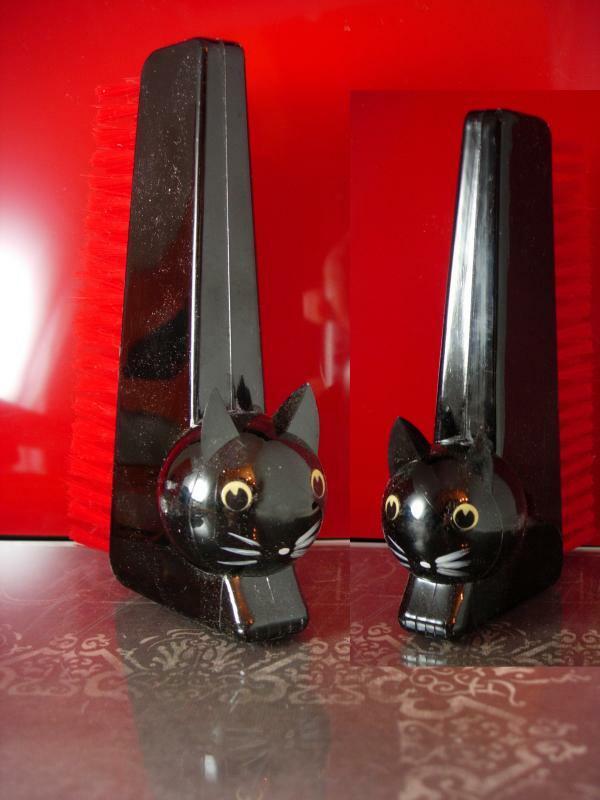 Great piece for cat or Halloween collectors. 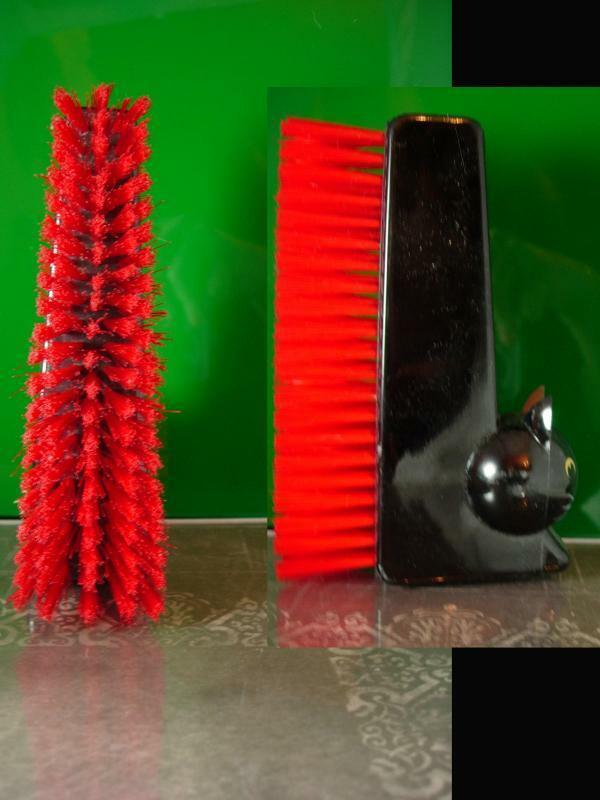 Items Similar To "Halloween Cat Brush ORiginal box Spooky Black kitty and Red brist..."